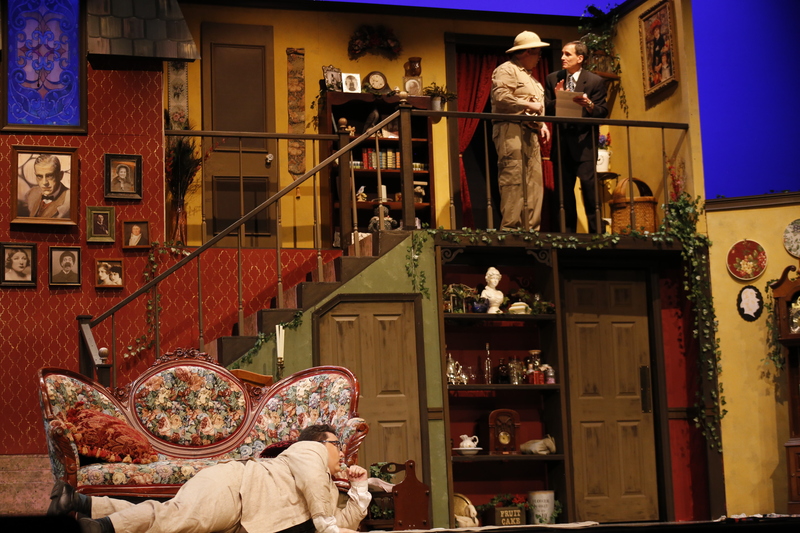 From the costumes and set to the work of the talented actors on stage, TAP’s production of Arsenic & Old Lace will surely keep you laughing! Most that have seen Arsenic & Old Lace equate the story to the classic black and white movie starring the incomparable Cary Grant in the lead role. Happily, with their fantastic new production, The Arlington Players (TAP) have breathed new life into the story and brought Arsenic & Old Lace into full, vivid color. The comedic tale tells the story of two kindly old women living in Brooklyn who have chosen to give kindly old men a proper send-off – by poisoning them and burying them in their basement. Adding to the mayhem are the women's nephews -- one a theatre critic, one on the run from the law, and one that just so happens to believe he’s Teddy Roosevelt. Chaos and hijinks ensue. Most of the comedy relies on the two women playing the “old dears,” and in this instance, Beth Hughes-Brown and Catherine Lyon are perfectly cast. Before they’re revealed as murderesses, their sweet and kindly manner totally win over their neighbors and those of us in the audience. After the big reveal, their gleeful desire to continue on their “mission” is a treat to watch. I was not familiar with the story, so for some reason, I was expecting a police detective to show up to investigate the women’s misdeeds. Instead, Richard Isaacs appeared as their loving yet flummoxed nephew Mortimer. While most of the characters are slightly larger than life, his extreme reactions to the crime are exactly what one might expect. He plays the character as brash, funny, and completely out of his depth. In other words, a most amusing foil for his two aunts. Later in the play, Mortimer’s brother Johnathan (always said in an exaggerated baritone to maximum comedic effect) shows up as the ne’er-do-well on the run from the law. The play makes a turn on the time from straight-up comedy to slapstick farce. Matthew Wise as Jonathan, towering over the rest of the cast, is menacing and funny -- two characteristics you don’t always find in the same actor. While his makeup (supposedly masking the character’s true identity from the lawmen) is a bit distracting, I thoroughly enjoyed his work. The last member of the Brewster clan, Uncle Teddy (believing he’s Teddy Roosevelt), is played by Tom Schiller. Schiller is fully committed to the outrageous antics the character demands. Dashing up and down the steps (clearly a substitute for San Juan Hill), and greeting those in his “cabinet” as old friends, is a delightful side story, delivering a satisfying payoff towards the end of the play. Special recognition should be given to the creatives behind the scenes of the production. The costumes (Robbie Snow) and the set (Nicholas Queyrane) are beautifully reminiscent of the 1940s. It’s fun to pick out all the little details that the designers added to create a rich space for the actors to work. 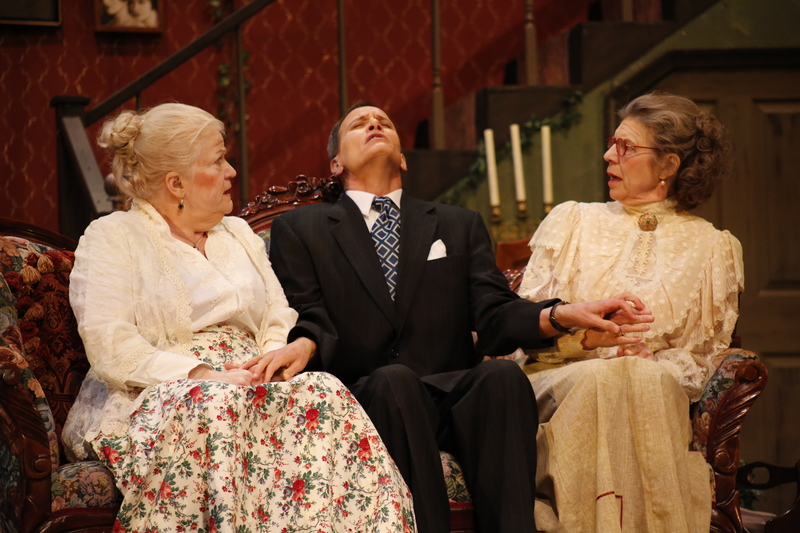 Arsenic & Old Lace plays weekends through February 16, 2019. (125 South Old Glebe Road, Arlington VA, 22204) For tickets, purchase online. Have you been to D.C.'s Butterfly Pavilion? Here's everything you need to know about this gorgeous attraction.